New black toner cartridge to replace Canon 104. Yield: 2;000 pages. 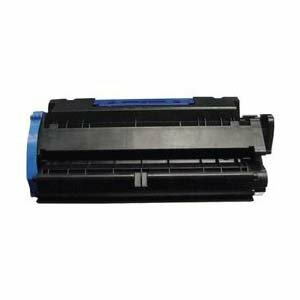 Compatible with Canon MF4150; MF4270; MF4350; D480; Faxphone L90 - 0263B001AA (Canon 104). New black toner cartridge to replace Canon 106. Yield: 5;000 pages. Compatible with Canon MF6530; MF6550; MF6560; MF6580. You can now find printer toner for your Canon printers at SFCable. SFCable make it convenient for you to get your printer toner supplies at your doorstep at very affordable prices. You can find replacement toner for Canon 104 (compatible with Canon MF4150; MF4270; MF4350; D480; Faxphone L90 - 0263B001AA ) Canon 106 (compatible with Canon MF6530; MF6550; MF6560; MF6580) and other printers. You can choose it according to your Canon printer model and yield capacity of each of the printer toners. With SFCable, you can be sure about the quality of the product. We only deal in RoHS compliant products which are also environment friendly.